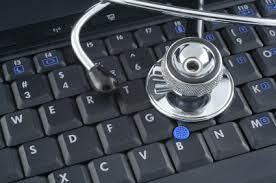 These days, anyone with online access can receive an immediate consultation from a doctor or healthcare professional. There’s no appointment needed, no traveling or waiting involved, and no hassle. In addition, the standard insurance co-pay tends to be low and some employers may even cover the cost. This new trend of convenience and immediacy, called telemedicine, is becoming increasingly prominent, so it is sure to impact your health-care, practice or hospital marketing plan. One example of how telemedicine is rising in prominence can be found in the plans for a new virtual care center in Missouri run by Mercy Telehealth Systems. This facility will house nearly 300 specialists, physicians, nurses, researchers and supporting staff. Thanks to this new virtual center, care can be delivered at any time on any day through video, audio as well as through data connections. Another example of this trend comes from the test period that Google is running, where people who search for symptoms can be offered the chance to have a live video chat with a doctor. During this test period, there will be no cost involved and any communications will be “HIPAA-compliant.” This doctor-consultation feature is likely to move beyond the testing phase, and when it does it will become a very fertile business ground.